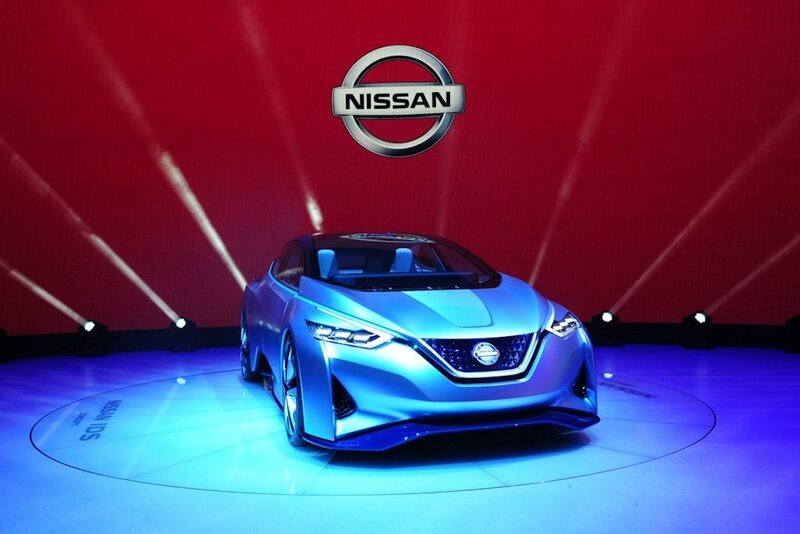 Last year, Nissan Motor gave a glimpse of their future—one that had zero fatalities and zero emissions. 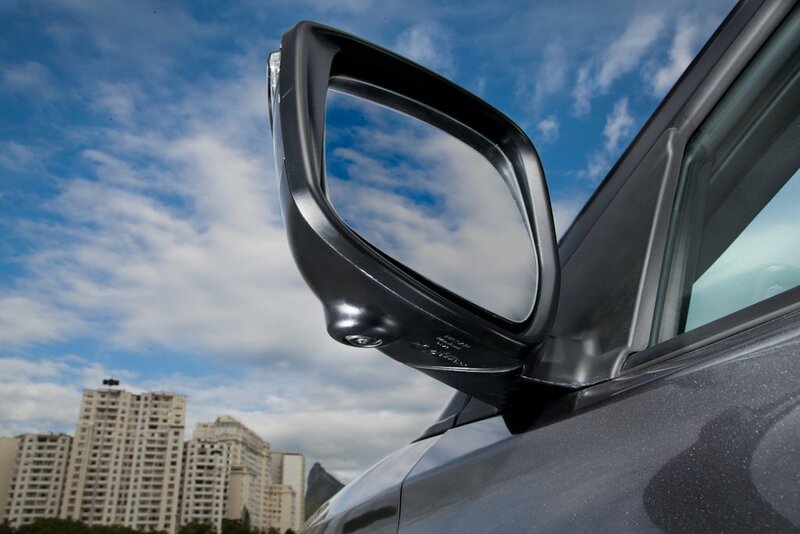 Dubbed “Intelligent Mobility”, it’s a development philosophy that’ll shape all Nissan vehicles to come. Though the world of self-driving cars and fully electric vehicles is still some decades away, especially for countries such as the Philippines, it’s not stopping Nissan from integrating the foundations of Intelligent Mobility in their cars; after all, they believe it makes driving more personal, empowering, and exhilarating. At the same time, as they move towards fully autonomous vehicles, the resulting technologies will make them smarter and safer. Nissan has identified three pillars of Intelligent Mobility: Intelligent Drive, Intelligent Power, and Intelligent Integration. Although the goal of Intelligent Drive is one that’ll produce fully autonomous vehicles (and it’s something Nissan promises by 2020), Intelligent Drive is first and foremost about offering a more confident drive. 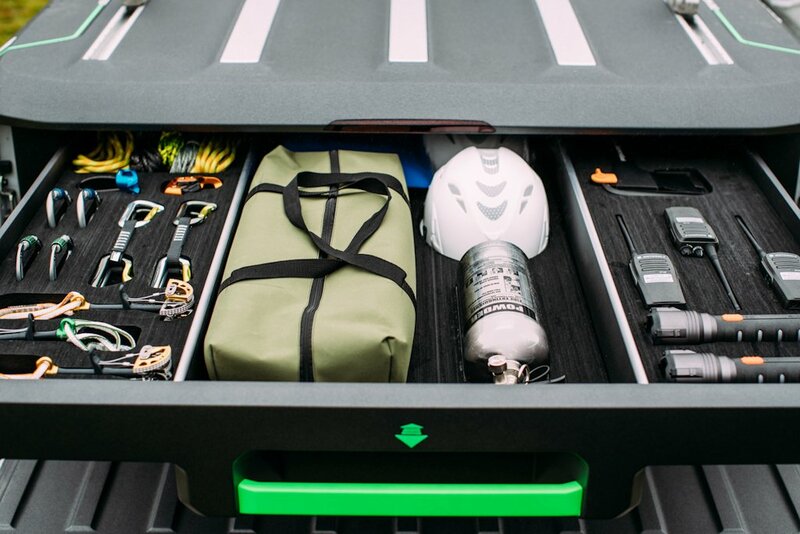 It’s all about performance, comfort and safety, reducing stress from a daily commute, and minimizing the risk of unsafe conditions. As such, many of these advancements are already available or are made readily available in current Nissan cars. 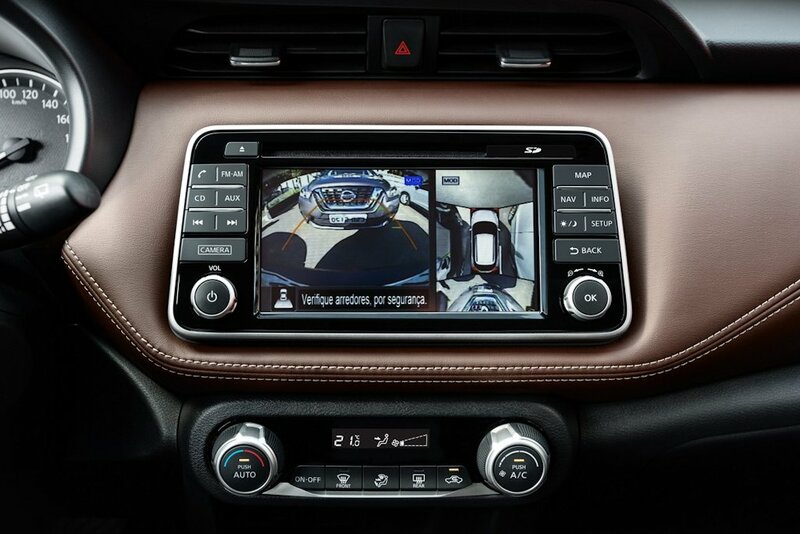 A perfect example of Intelligent Drive is the X-Trail’s Around View monitor. 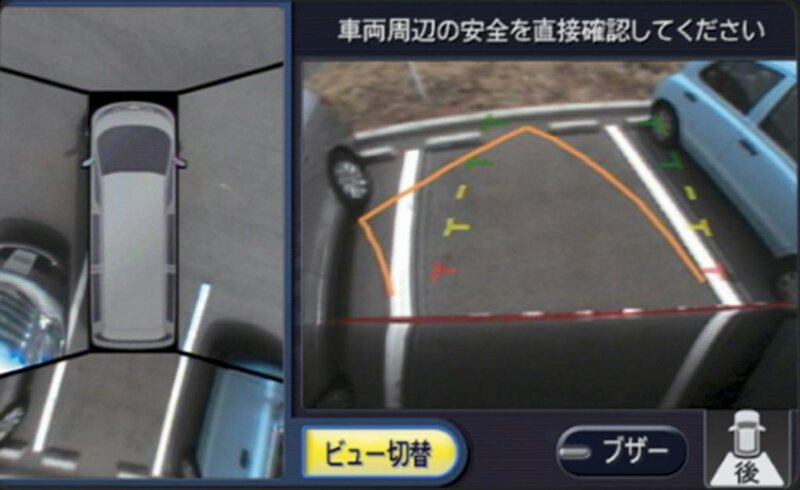 Offering a 360-degree bird’s eye view of the area surrounding the vehicle, it offers increased confidence when tackling tight spaces be it when parking or maneuvering through obstacles in city streets. Moving further, Lane Departure Warning and Forward Emergency Brake are two other technologies that fall under this category as well. Next, there’s Intelligent Power which is all about providing truly usable power and acceleration without sacrificing fuel economy. It’s not all about outright power and torque that, in the end, may not be usable to the customer (the GT-R notwithstanding). The ultimate goal of this pillar would be to produce vehicles with zero emissions, but with outstanding range and performance. 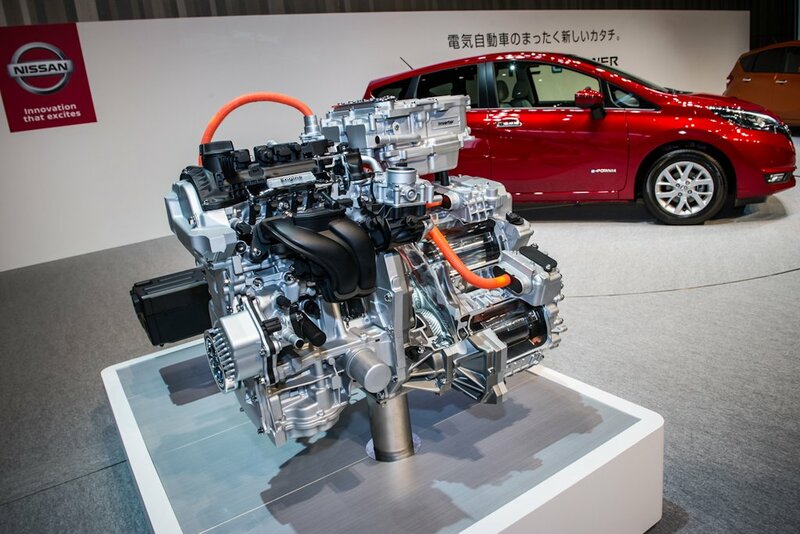 To this end, Nissan isn’t just looking at improving current battery technology in products such as the Leaf, but they’re also looking to other alternatives like hydrogen fuel technology. 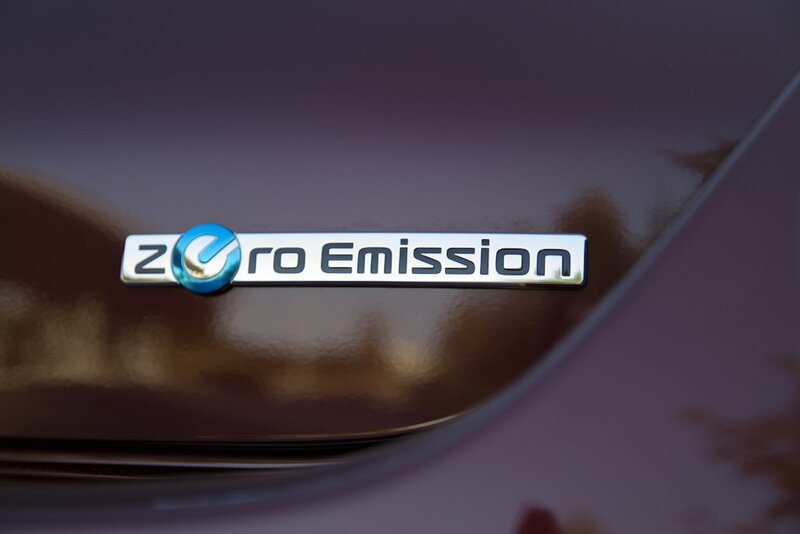 However, as the world still moves towards electrification, Nissan is also investing in technologies that offer seamless power and acceleration with improved fuel economy. The use of the X-TRONIC Continuously Variable Transmission or CVT is one such example. 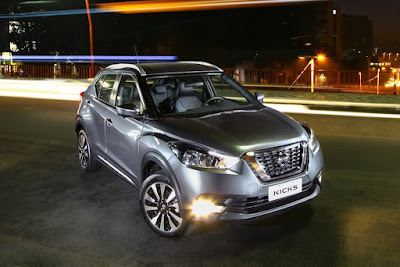 Currently available in most of Nissan’s gasoline offerings: Almera, Sylphy, Altima, Juke, and X-Trail—CVTs are renowned for offering improved fuel efficiency by keeping engine speeds at optimal levels. Meanwhile, the use of a 2.5-liter 4-cylinder diesel paired with the 7-speed automatic on the NP300 Navara is yet another example. Not only does it offer 190 horsepower and 450 Nm of torque, but the smaller displacement offers up to 11 percent better efficiency than the previous Navara. Finally, there’s Intelligent Integration where Nissan aims to have its cars communicate with a common infrastructure. 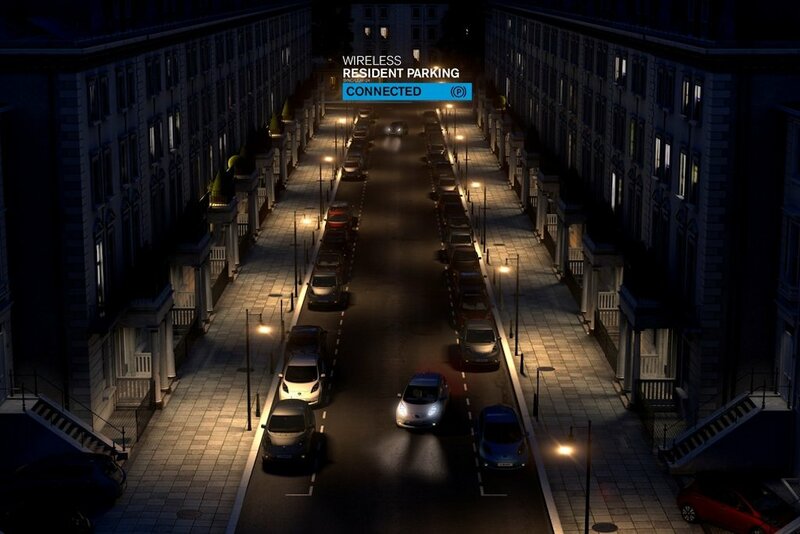 By networking cars, as opposed to making them run separately from each other, roads, charging stations, and even parking spaces will all be optimized. Eventually, this will reduce traffic jams and create a more efficient use of urban space. Unfortunately, that sort of connectivity is more science fiction than science reality at this point. At the same time, Nissan knows that they need the help not only of lawmakers, but of other carmakers to create laws, standards, and policies that support autonomous driving and data sharing. 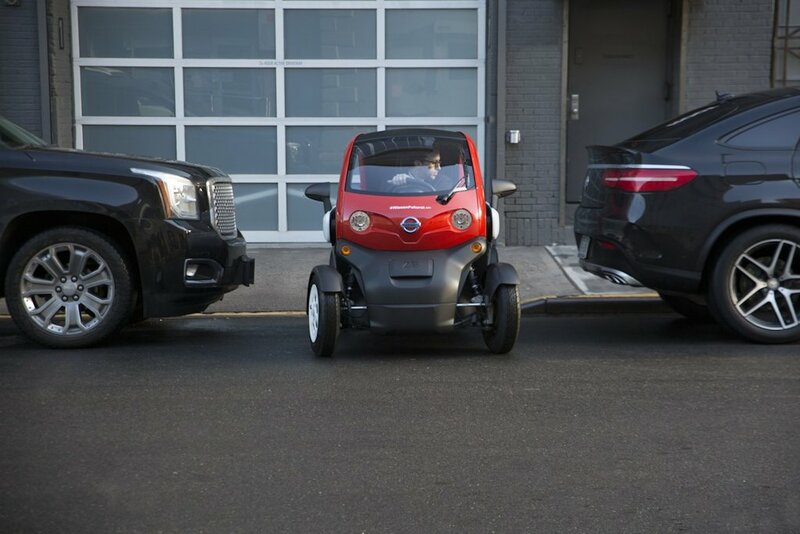 In the here and now, Nissan is offering Intelligent Integration in the way its vehicles work and operate to help a customer with his daily routine; it’s not all about power for the sake of power or size for the sake of size. It’s all about understanding what the customer needs and wants, and fulfilling those requirements. 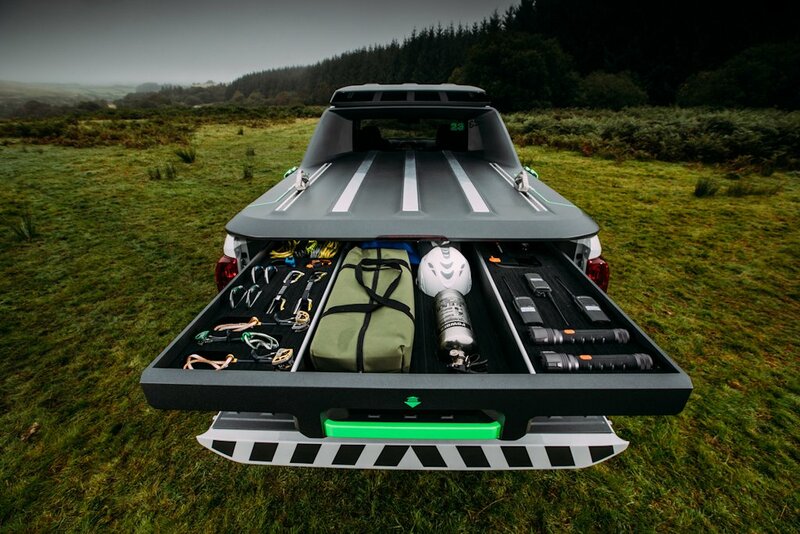 A product of this way of thinking is the Navara EnGuard Concept, which showcases how a production pickup can be re-fitted as the ultimate rescue machine. 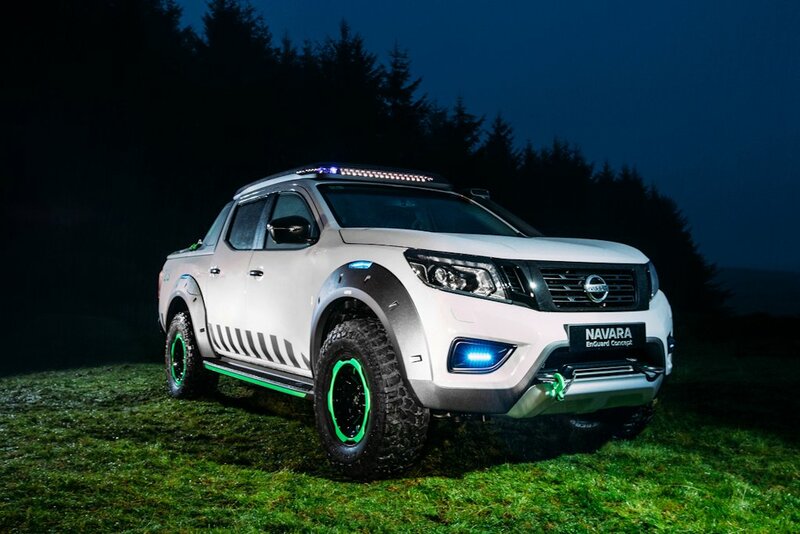 The Navara EnGuard Concept is fitted with various equipment that helps it operate in some of the world’s harshest and most extreme environments. Compared to the standard Navara, it’s been raised by 50 millimeters and features requisite over fenders and emergency strobe lights. A nice touch is the fluorescent green applique, so chosen because it’s a color most seen in daylight and most identifiable by people with color blindness. At the back, there’s a pull-out tray filled with two-way radios, rescue equipment, life jackets, oxygen tank, and even a resuscitation kit. 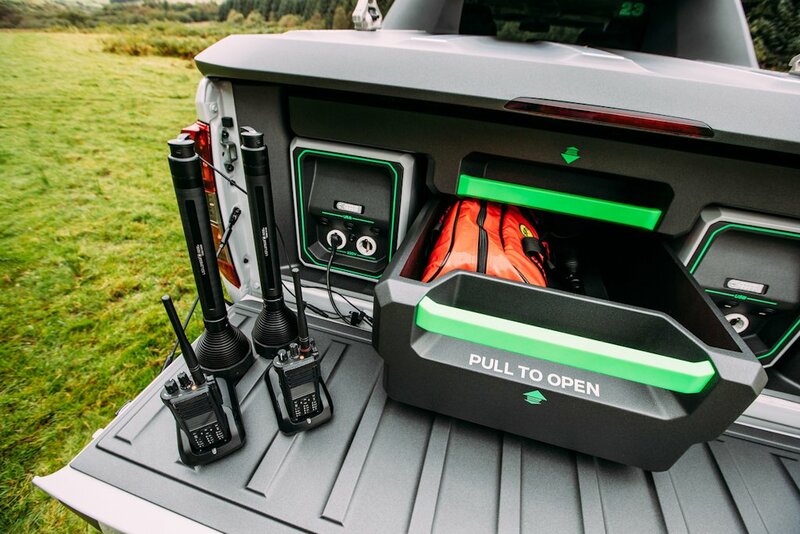 There’s even a portable battery pack that acts as an alternative to a diesel generator that harvests power from the Navara’s engine. Pursuing a goal of zero emissions and zero fatalities, Intelligent Mobility will help guide how Nissan vehicles are powered, how they are driven, and how they integrate into society. 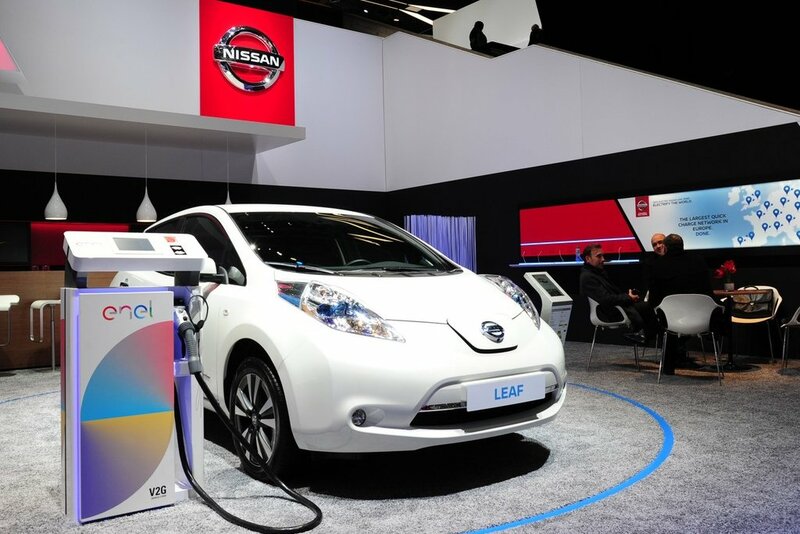 Ever since the world’s first mass production electric vehicle, the Leaf, came out in 2010, Nissan has invested significantly in R&D. And while the fruits of Intelligent Mobility won’t be fully realized for decades to come, it helps move the world towards a safer and more sustainable future. Very cute SUV, but the name, Kicks? First there's the Juke, and now it's Kicks? Pag Honda naman it's all about 3 letters. 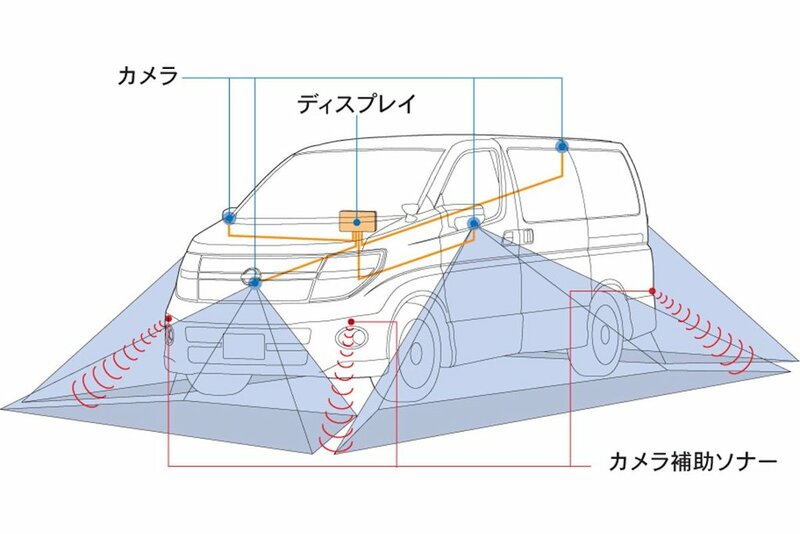 HRV, CRV, BRV, etc. I wish the Japs will come up with more interesting sounding names like Mantis, Puma, Bullet, Meteor, etc.